TAKE COVER! It’s RFC International! I’ve always been a fan of unusual cover versions of my favorite songs. While they rarely manage to match the power of the original performer, the novelty of hearing a new take on a familiar classic can be exciting and intriguing. In this week’s Radio Free Charleston International, we bring you two hours of slightly offbeat cover tunes. You can hear RFC International every Thursday at midnight, with replays Fridays at 10 PM, Satuday mornings at 11 AM and late Saturday night/Sunday mornings. In this show you will hear artists that you don’t normally expect to perform songs that they didn’t write themselves, like Ben Folds, Kate Bush, Todd Rundgren and The Clash. You will also hear songs originally written by the likes of The Beach Boys, The Beatles, Queen, Abba, Jimi Hendrix and Jethro Tull. We have a set of Ska covers and a set of Beatles covers. You’ll hear rare vocal turns by Keith Emerson and Keith Moon. We even bring you a performance by GWAR. That’s all in this week’s RFC International. Take cover! 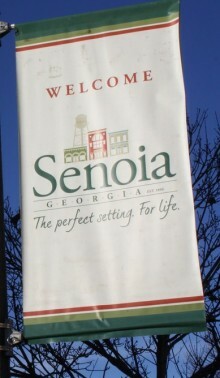 This week on Mel Larch’s travel show on Appalachian Independent Radio, On The Road With Mel, takes us to Senoia, Georgia, a seemingly sleepy, friendly little Southern town that just happens to be the primary filming location for the hit AMC television series, The Walking Dead. Mel tells us about Senoia’s history, how to pronounce the name of the city, and all the cool film locations, shops, and restaurants that you can experience if you go there. You can listen to On The Road With Mel every Wednesday at 1 PM on Appalachian Independent Radio, with replays Saturday afternoon and Sunday evening. Tune in at the AI Radio website or on this handy little pocket radio widget. Today at 10 AM, with a replay at 3PM on Appalachian Independent Radio is a special replay of the first episode of The Booster Pack, a great new pop culture show. Chase Henderson (of Gorillafoot Productions and Dr. Sketchys), Terry Bartley (owner and operator of Spoiler Warning Games and Comics), and rotating guests have in depth discussions about Pop Culture. Radio Free Charleston is NEW This Week! Radio Free Charleston is back in the saddle after two weeks of re-runs, and this week we have brand-new music, and gems from deep in our archives. You can listen to Radio Free Charleston at Appalachian Independent Radio! Tune in for two hours of the best local and regional music every Tuesday at 10 AM and 10 PM at the link above or right here on this little play widget. We kick off the show with the title cut of QiET’s new CD, and we wrap up the show with a previously unheard collaboration between Douglas Imbrogno and Melanie Larch, which has been hidden away in our vault for over eight years. You can catch replays of Radio Free Charleston Saturday morning at 9 AM (kicking off five hours of programming produced by your PopCulteer) and late Saturday night at 1 AM. All of our General Substances progames at AIRadio will be new this week, so tune in to the hottest radio station on the web! Sometimes art is best presented without any rationale or reasoning. Click to enlarge. 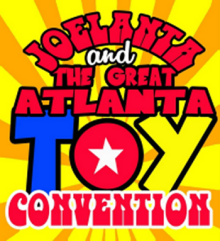 We are way behind in producing the videos of our experiences at the 2016 JoeLanta and The Great Atlanta Toy Convention. Sudden emergency writing jobs have eaten into our video production time, so we are two weeks away from the end of the show, and only about halfway through our videos. Another of the great panels at JoeLanta and The Great Atlanta Toy Convention was the Radio Free Cybertron/Transformers panel with Brian Kilby, Rob Springer, Dusty Griffin and Esteban.They go into detail about what’s going on in the world of The Robots in Disguise. We will continue posting panels and videos from JoeLanta over the next week. Emergency assignments have slowed down your PopCulteer, but we’re still plugging away when we can. There’s plenty of cool stuff coming up on Appalachian Independent Radio. 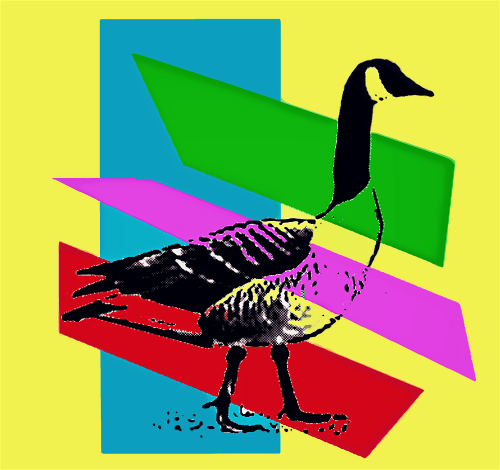 Tonight at 8 PM it’s a brand-new episode of Word Association with Lee and Rudy. This week the boys discuss the oddball comics of their youth from publishers such as Charlton, Gold Key, Classics Illustrated, Comely Comics and others. This is a huge topic, and chances are that it will be revisted many times in the future, since we left so much good stuff out.Also note that I mixed up the order in which Ditko and Giordano left Charlton for DC. I knew better than that. 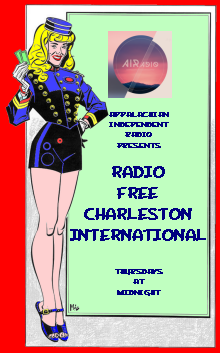 Stick around, because at 10 PM you can listen to a replay of this week’s Radio Free Charleston International. Also remember that you can listen to the entire General Substances/RFC line-up starting Saturday mornings at 9 AM. Starting this week you can also hear a replay of Booster Pack at 2 PM, giving you a six-hour excuse to sit motionless and listen to the internet all morning on Saturday. This is just one of the many cool things you can hear on AIRadio. I tell you all the time about the shows I produce, Radio Free Charleston, On The Road with Mel, Word Association with Lee and Rudy and Radio Free Charleston International, but there’s way more than that. The Empty Glass is not only doing live remotes of big-name musicians, but they also produce Six Degrees of Separation, a two-hour interview with a local artist, and they also have a playlist show where local musicians show off their influences. New shows are being added all the time. Check this stuff out. You’re missing out on real gems, folks. 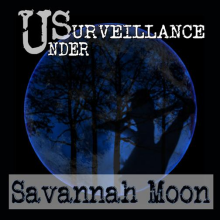 Under Surveillance is back in a big way. This band of veteran rockers has just released their second CD, this one with their new vocalist, Eve Marcum Atkinson. They haven’t missed a beat, delivering another fine collection of New Wave-inflected anthemic power pop with a sheen of professionalism and killer hooks. Phil Hatfield’s guitar work blends quite well with Atkinson’s lead vocals and the band’s harmony vox to create a modern “Wall Of Sound” that give the songs a timeless quality that makes them free of stylistic pidgeonholing. The band has gelled around their new singer and the sound is both familiar and new at the same time. This week your exhausted PopCulteer waved the white flag and scheduled a replay of the second-ever episode of Radio Free Charleston International. We really pushed the limits In this show with two-hours of challenging, eclectic and occasionally foul-mouthed music. It’s radio like you’ve never seen! The Phantom Troublemaker hosts a panel dedicated to folks telling personal stories about their most beloved toys. Joining Phantom on the panel are Sean Reid, Mike Gordon, Ricky Zhero (of Radio Cult) and a guest from the audience, Mr. Lee Harrah of the band, HARRAH. 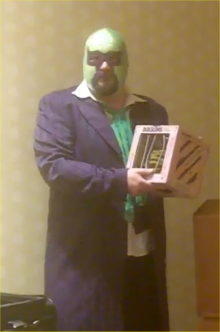 This was one of the most fun panels from Joelanta and The Great Atlanta Toy Convention 2016, and captured to true spirit of how creative play and an obsession with toys can drive people to successful careers later in life. The stories are fun, bittersweet and touching. This panel has been presented as an episode of The Needless Things Podcast, which is highly recommended and can be found HERE.